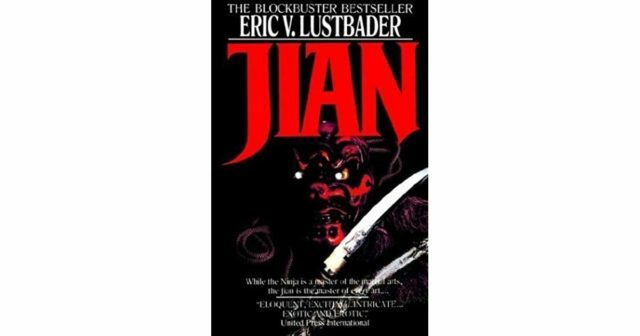 “Jian” by Eric von Lustbader (1985) While taking over for Robert Ludlum in writing the Jason Bourne series has brought him a big new audience, EVL has always been a superb thriller writer in his own right. His “Linnear”, “China White” and “Maroc” series (this one’s Maroc) have it all: richly described global settings, intricate plots and heart-hammering action. “The Alamut Ambush” by Anthony Price (1971) Price is little-known to American readers, but a prolific espionage writer. In this one, the apparent “accidental victim” of a car bomb may not be so accidental. “The Sword and Scimitar” by Raymond Ibrahim (2018) A meticulously-researched history of centuries of war between Christendom and Islam. It’ll open your eyes to the depth of, or at least the symbolism of, ISIS and al-Qaeda’s campaign against what we now call “the West”. I learned a lot from this one. “The Way Some People Die” by Ross MacDonald (1951) Reading this guy’s mysteries is like listening to some vintage hepcat jazz on a scratchy vinyl LP. “The Oath” by John Lescroart (2002) From his main characters, attorney Dismas Hardy and veteran police detective Abe Glitzky, to his beloved San Francisco backdrop, this guy is a master mystery writer. You can’t read just one in the series anymore than you could eat just one potato chip out of the sack. “By The Light of The Moon” by Dean Koontz (2002) I’m a longtime fan of Koontz, but this one feels forced. Clever plot: a “mad scientist” injects unwitting people with nanorobots that give them amazing and often unwelcome powers. Ok. However, the plotting is sloppy, and his characters are usually much more vivid and authentic. You could skip this one and still have plenty of DK masterpieces to read. “Potshot” by Robert Parker (2001) In the middle of the “Spenser” series (which I love and savor), Parker takes his wiseacre sleuth out of Boston and drops him down in a mythical Western town with what Trump would call some “bad hombres”. It’s the usual mix of fun and action, only with a dry desert heat. “Desert Fury” by Tom Wilson (1998) If you love writers like Ludlum, Tom Clancy, Vince Flynn, Larry Bond and the like, you will be glad you found Wilson. “Not Quite Dead Enough” by Rex Stout (1944) In this long-running, excellent detective series, Stout gives us a housebound, eccentric brainiac (Nero Wolfe) and his literal “man-about-town” sidekick, Archie Goodwin. You’ll never look at a bottle of beer or an orchid the same way again. In this one, Wolfe is dragged into some wartime intrigue.